This is the time of year to get our trails cleaned and ready for the coming snowmobile season. The trail crews for all the clubs are out there working on our most important asset – our trails. My club has not only been working on existing trails but is undertaking the creation of some new trails. These activities have been on-going since Labor Day. 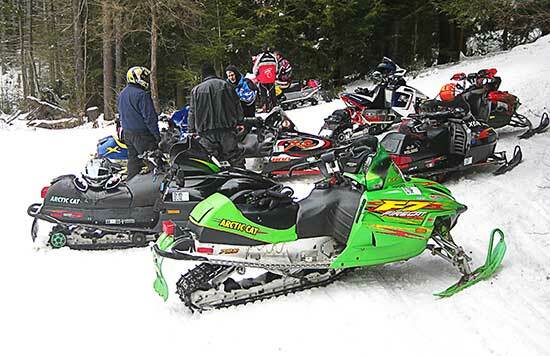 So, I will start off by saying a big “thank you” to all the trail crews in the Snowmobile Association of Massachusetts. As most of our trails are receiving increased attention, so are the discussions and actions concerning land, land-use and open space preservation. Let’s take a look at some very real numbers. Between 1985-1999 land was being developed at a rate of 40 acres per day. Between 1999-2005 land development decreased to 20 acres per day, and between 2005-2013 land developments barely reached 13 acres per day. During this same timeframe however, activities to protect and conserve land have steadily increased to a high of 41 acres per day. To further underscore this protection effort, during this 2005-2013 timeframe Massachusetts reached a milestone for land, as permanently protected land in Massachusetts exceeded developed land. Today, Massachusetts with a total acreage of 5 million acres, of which 1.26 million acres is protected land and 1.1 million acres is developed land. This change has come about as the state has infused over $370 million for park creation and awarded 1,380 grants to help municipalities and land trusts acquire and preserve open space. And, the pace of land protection will continue to accelerate for the remaining 2.6 million acres as this land is neither developed nor protected. For example, the Kestrel Land Trust recently added 336 acres to the 10,000 acres of already conserved and protected land in the Mount Holyoke Range. This is part of the 1,000 acres they are trying to protect by the end of 2014. And they are continuing to work towards the goal of protecting the remaining 677 acres within the next six months. What do all these numbers mean to us as snowmobilers? These numbers reveal that municipalities and land trusts are making an increasing number of land use decisions. These decisions almost always involve conservation restrictions and they almost always involve the restriction of “passive recreation only.” It is these restrictions that could have an increasing impact on our sport. A good topic for discussion on this issue would be to open a dialogue with a land trust to improve the wording of the standard conservation restriction document used by land trusts so that the word “passive” would have to be intentionally included as opposed to being already embedded. I am proud to say that the Snowmobile Association of Massachusetts is ahead of the curve on this issue. Over the last several years SAM has partnered with land trusts such as the Worcester County Land Trust and the Franklin County Land Trust, and this has created a very favorable condition for SAM throughout the land protection community. I hope to see you all soon and please keep in touch with your legislator for their support with our legislation, both H3856 and vintage bill H752. And remember, all snowmobilers are on the Land Conservation Team.